The marketing and media industries should stop pigeonholing diversity as a topic separate from business and creativity, Google ads marketing director Nishma Robb said. Having designated panels to discuss diversity at conferences could be counterproductive, she said, because the diverse voices they often featured – such as BAME people and disabled people – were overlooked for panels on other topics. "I’d ban the lot of them," she said. "I’d have no groups, because actually what happens is you preach to the converted – there’s no sense of togetherness." Robb added that she was "very rarely" invited to speak about marketing, despite her senior position at perhaps the most powerful company in today’s marketing ecosystem – but that she always accepted offers to speak on diversity because of the huge importance of the issue. 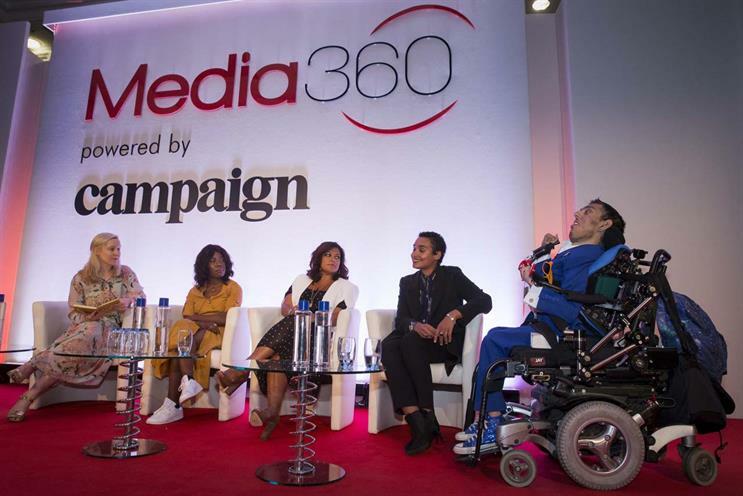 She was speaking alongside M&C Saatchi’s head of culture and inclusion Sereena Abbassi, ThisAbility’s founder and chief purpose officer Sulaiman Khan, and Elizabeth Uviebinené, marketing manager and co-author of Slay In Your Lane, in a discussion hosted by Campaign’s trends editor Nicky Kemp. Diversity was often held back because it was treated as a zero sum issue by groups with disproportionate power and influence, Abbassi suggested. "Many people are terrified of letting other types of people in," she said. "But if we can’t think abundantly in this part of the world, where can we? There’s room enough for everyone." Khan, who has muscular dystrophy, said that for him one of the barriers to inclusion was often physical access because he uses a wheelchair. He mentioned one recent event where he was forced to use a goods lift to access the event space. "But at least I could actually get into the building," he said – "ad agencies are often quite trendy in an attic or a basement, and I can’t get into them at all." The best solution to being more inclusive to people with particular needs was almost always just to talk to them, Khan added. "The thing agencies don’t do enough is ask each other, and ask their staff, how can I help? It might be a difficult conversation but the outcome is a much better organisation." Another important step is to encourage as many people as possible to engage with these challenges, Uviebinené said: "We need to stop seeing diversity and inclusion as one person’s responsibility in the organisation." She added it was important for marketing to not assume that people are defined by a characteristic, such as race or background. For her book, which profiles some of the most high profile black women in Britain – such as Denise Lewis and Dawn Butler MP – Uviebinené said it was "important to interview not just one type of black woman", but also to speak to women who "aren’t as visible".